Hardshell jackets are the best defense between you and the nastiest weather you’ll encounter outdoors. These jackets are durable, protective and utilize highly advanced materials to keep you outdoors longer in even the worst snow or rain. Don’t worry, we’re going to talk about all the details you need to know before you buy your next hardshell jackets in just a moment. With hundreds of days spent guiding skiing and backpacking trips, I know what to look for in a top rated hardshell jacket. By the time you’re done with this article you’ll know what to look for and what to avoid. 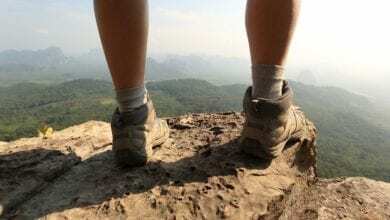 For more of my top gear recommendations, have a look through these popular Outside Pursuits guide links: Hiking Shoes, Boots, Pants, GPS Watches. Just remember that hardshell jackets aren’t the perfect answer for every situation. Be sure to see our guide about softshell jackets to further learn what types of coats are available and when you should use each one. If you’ve read many of my reviews you know by now that I favor OR products and why it’s our Editors Choice for the best hardshell jacket. They always seem to put out quality gear that’s priced right. There’s no exception to that rule here! I love napoleon pockets myself and they’re even better when they double as stuff sacks like this one does. If you’re not aware, Napoleon pockets are the chest pocket on a jacket. While this jacket isn’t breathable, it does have pit zips. If I had to choose between a breathable jacket and one with pit zips, I would opt for pit zips every time. Of course, you’re going to also get all the standard features. Adjustable hood, elastic cuffs, and adjustable hem. One nice features is the soft inner liner. Unlike many hardshells this jacket is 100% polyester. That doesn’t make it any worse, in fact it makes it a bit softer to the touch and less “plastic bag” feeling. The Foray is full featured hardshell that makes a good multi-sport companion. There’s hardly a more classic waterproof jacket out there than the Marmot Precip. This jacket is a breathable coated waterproof jacket that keeps things simple and affordable. It’s among the most well loved pieces of backpacking gear I’ve ever known. I bought this jacket when I started backpacking and loved it. It lived for years and finally died several years ago. Today’s Precip jacket has a few cool upgrades you’ll want to know about. First, they’ve create the NanoPro WPB fabric so the PreCip jacket is now breathable. That’s a big improvement over the old non-breathable fabric, but many users rate its breathability low. I wouldn’t expect to use it as a running jacket. They also raised the neckline on the jacket and separates it from the hood. This is a cool and useful change to the jacket that most users will love. It means a tighter fitting neckline that stays comfortable thanks to the DriClime lining. The PreCip is the best hiking jacket that won’t let you down. Arcteryx is a brand that doesn’t compromise. They go all out on style, function, and tech. That means that you’ll usually pay through the nose to get a piece of their gear, but you’ll be hard pressed to find anything wrong with it! Remember when I said you might have to do some searching to find a good helmet compatible hood? Well, look no more. The Storm Hood on this jacket is a signature Arcteryx touch that makes a great companion for mountaineering or skiing. I’m a huge fan of the tight, sleek look of this jacket. If style points are a thing for you, you’ll love the Alpha SL. However, style isn’t everything. The slim fit of this jacket is specifically designed for climbers who need to see the gear on their harness that they’re carrying. If you looking for the best mountaineering jacket, the Arc’teryx is for you! 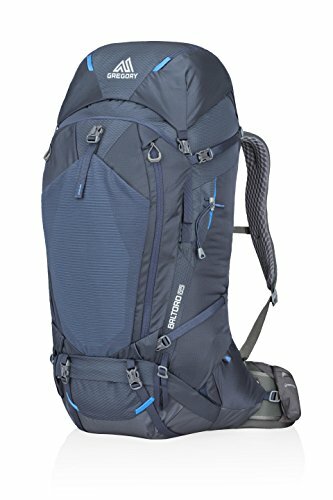 Black Diamond somehow doesn’t come up as often as they should in gear reviews. Why that is, I have no idea. However, I love their gear and I think you’ll find this to be one of the best outdoor jackets on the market. Black Diamond tends to stick with climbing, mountaineering, and skiing products. They’re good at it! So, what’s the down low with this jacket? It’s not as form fitting as the Arcteryx stuff, which is good for bulky layers and larger users. There’s an adjustable helmet compatible hood, and you can pick between several colors. Nothing revolutionary there. Unlike some other jackets, there’s a dedicated media pocket. That means room for your phone or MP3 player so you can run some earbuds while you’re snowboarding. The waterproof zippers and soft textured nylon on the outside really make this jacket look put together. When it comes to style points you’re sure to look right at home with even the most well-equipped on the mountain. OR comes into our list again with another solid hardshell. There’s a reason they make so many appearances and it’s because their gear is always on point. 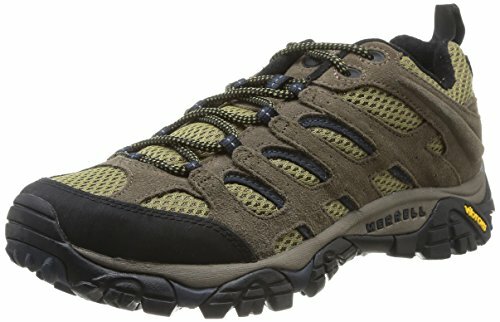 This time it’s more oriented toward hiking and backpacking. Whether you’re backpacking or climbing this jacket is meant to move. It’s a lightweight, slim jacket that has breathability paired with a trimmed figure. The waterproof zippers are nearly hidden on the jacket and they look great. No matter which color you choose this jacket just look svelte. The features, however, are also trimmed compared to some jackets. The hood is not helmet compatible. However, unlike some of the jackets on our list, there are a few extra pockets. Ultimately it looks and feels like a jacket designed to be minimal yet with high end features. The best part is that it doesn’t even cost as much as some on our list! While I haven’t had direct experience with this brand, I think the reviews on the Gombu jacket speak for themselves. Users love this jacket and it’s one of the most affordable on our list so there’s little reason not to give it a shot! I’ll admit, Sherpa earned some brownie points with me by putting pit zips on this jacket. They’re one of my favorite features and even today, I think too many jackets fail to incorporate this feature. I like that they doubled the Napoleon pocket as a media pocket with its own headphone port and all! Why not kill two birds with one stone? Little features like an adjustable hood and chin protection with a soft liner are easy to miss but really add to the quality of this jacket. There’s only one color, however and it’s bright blue. If you’re looking for a multitude of colors you’ll have to look elsewhere. Best For: An affordable, simple hardshell option that can get you going quickly! 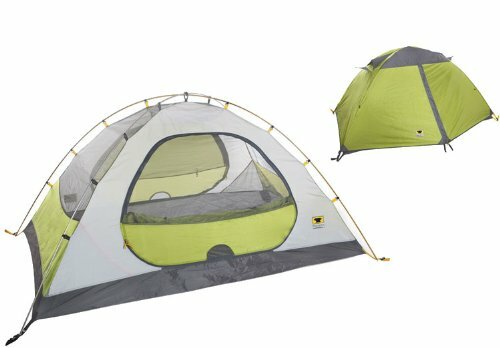 Patagonia has one of the most robust lines of outdoor gear that I know of. Their products are well made and backed up by their guarantee to fix or repair any damage at a very fair price. I’ve used their gear for years! Too many hardshell jackets today are going with waterproof zippers and forgetting the zipper cover. Waterproof zippers are great but they have a problem – they don’t always keep out all the water. I honestly prefer a zipper cover most of the time. Patagonia is using their proprietary H2No waterproof breathable material in this jacket. While it’s not the best on the market, it’s reliable and well done. Plus, you get Patagonia’s warranty backing it up. No matter how long you own this jacket, if Patagonia is still in business they’re fix or replace it. If you’re looking a light jacket for skiing or snowboarding, it’s one of the best hard shell ski jackets you can find! Picking out the right hardshell jacket for you means understanding how they work and what they’re made of. Let’s expose all the details here so you can get on the fast track to picking out the right one. Exactly what is a hardshell jacket made from? Well, there are several common materials and it’s important to understand so you pick out the right one. The most common hardshell jacket material. It’s a man-made fiber that’s extremely durable and robust. By itself nylon can be made to block wind and rain almost flawlessly. However, without some additional materials it can be a lot like wearing a trash bag. 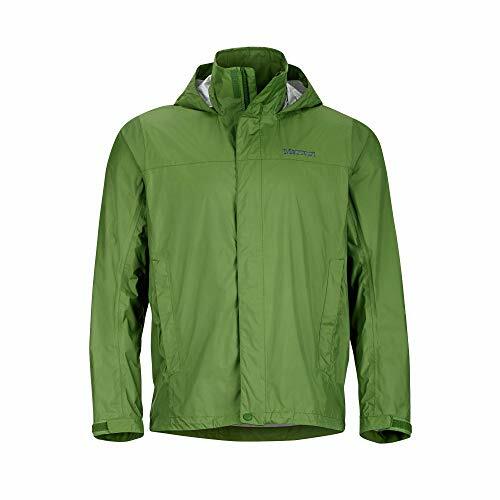 The Marmot PreCip Jacket is a good example of a quality nylon jacket. Using a key to a waterproof breathable jacket. Whenever you hear that a jacket is waterproof breathable, that’s thanks to a membrane which is composed of layers of porous and semi-porous synthetic fabrics. These allow water vapor to pass out but not in. The Patagonia Torrentshell Jacket is a one of the better examples of this type of jacket. Polyester is less common in hardshells than other jackets. That’s because it’s a great wicking material and hardshell jackets aren’t quite the right place for that material. However, it’s sometimes used as a liner to make the jacket feel softer and more comfortable as nylon often has a plastic feel by itself. Our Editors Choice, the Outdoor Research Foray has a polyester shell. Rarely gets used in hardshells. Elastane is the stretchy component of leggings and tight shirts. Hardshells aren’t particularly stretchy so you’ll rarely encounter is material here. Hardshell jackets are most often used in mountaineering, skiing, and backpacking where extreme weather can’t be avoided. For that reason, you’ll want to make sure that the hardshell you pick out has the right set of feature for your activities. It stands to reason that the best hardshell for skiing may not be the best for backpacking. These days almost always involves a helmet. In these cases, the hood of a hardshell jacket becomes more of a nuisance than help. Look for a hardshell jacket with a removable hood so that snow doesn’t pile up in your hood while you’re skiing – it will go down the back of your jacket and make you cold and wet. For skiing or snowboarding many hardshells have nice extra features. One important extra feature is the goggle pocket. If I had to recommend one feature to definitely have on a skiing jacket, this would be it! Also, keep an eye out for powder skirts to keep snow out of your jacket! Usually involves helmets as well. However, many mountaineers prefer a hardshell with a helmet compatible hood. These can be harder to find and more expensive than entry level hardshell jackets, so be sure to do your homework before settling. If you’re doing a lot of climbing, seek a hardshell with stretchy gussets to help with mobility. Hardshells for backpacking technically can come in a ton of flavors. Just about any jacket that has a solidly waterproof barrier can be considered a hardshell. That means classic jackets like the Marmot Precip all the way to cutting edge cottage industry jackets like cuben fiber waterproof coats. Before making a decision, think about how often you’ll use the jacket and important factors like weight and bulk for backpacking. Hardshell jackets are the only type that will feature breathable membranes. We talked briefly about them earlier, but here we’ll dive into detail. Membranes are the part of a hardshell which are responsible for the “breathable” part. Not all hardshell jackets are breathable, however. Keep in mind that there are several drawbacks to breathable jackets. Breathability is depending on the outer nylon layer of the jacket remaining dry. For this reason new WPB jackets will be treated with DWR finishes which helps water bead up and roll off the outer layer of the jacket. As the jacket gets older you’ll have to restore the DWR treatment or the jacket will become ineffective. Even though a “wetted out” breathable jacket can’t breathe – it will still be waterproof from the outside. There was a day when Gore Tex had a stranglehold on the market of waterproof breathable jackets. That day is long gone now, yet many still believe Gore Tex is the “best”. It’s not hard to find plenty of research about the science of WPB technology and when you look deep enough you’ll soon find out that many companies now produce excellent quality waterproof membranes. I would encourage you to not be afraid of buying “house brand” waterproof breathable jackets. They’ve come a long way and hardshell technology has evolved to the point where most manufacturer’s have their own version of the technology. Seems like a little detail, doesn’t it? Well, if your jacket is waterproof, the zippers are going to be one of the weak spots. Of course, don’t forget there’s a big hole in your jacket at the top and bottom where water can get in too! Today’s zippers have had a big waterproof boost thanks to the invention of the siliconized zipper. These zippers are essentially standard zippers turned inside out and covered in a water resistant material. Many high end hardshells have these zippers and will often leave them exposed (uncovered) because they look quite sleek and stylish. However, on less expensive jackets this zipper style is rare. Instead what you’ll usually find is a regular zipper that’s covered with a flap that snaps or velcros into place. These are just fine and frankly I think they’re a better value and just as functional as the more expensive waterproof zippers. It’s up to you which one you prefer, though you may have to settle within your budget or function needs. Hardshell jackets have this awesome feature called a pit zip. Not all jackets have them, but they’re well worth looking for. If you find the right jacket they don’t even cost much more! So, what do they do? Pit zips can be opened to help with ventilation. Even with breathable jackets, they can get sweaty inside. Using a pit zip means your body can dump excess heat and sweat quickly. This avoids the swamp jacket effect. I encourage everyone to look for a jacket with pit zips because they’re just too useful! Hardshell jackets span the gamut from cheap waterproof bags with sleeves to expensive bleeding edge garments that are just as likely to bleed your wallet dry. All of them have one thing in common – they’re waterproof rain jackets. Let’s go over the types of waterproofing that are most likely to be employed in your hardshell jacket! These garments are cheap, lightweight, and simple. A single layer hardshell is probably not suited to mountaineering or technical ascents. Rather, these jackets keep the rain off using the simplest and most affordable methods. Frogg Toggs jackets would be an example of a single layer waterproof garment. In my world, that still technically counts as a hardshell. Some may consider this a “rain jacket” but the line is blurry between hardshell and rain jacket anyways. You may also hear these called “two layer” hard shells. Note: There are several other 2-layer construction possibilities but PU coated nylon is the most common example. A hardshell jacket made this way will have a nylon outer (usually ripstop) that has a thin layer of rubberized polyurethane coating adhered to the inside. That’s it! PU coated nylon is famously employed in the Marmot PreCip jackets and most other inexpensive waterproof hard shells. It is not breathable and has a tendency to feel a lot like wearing a rubber bag due to the lack of inner liner material. These are the big kahunas of the hardshell category. This jacket’s outermost layer will be made from durable nylon. Then the jacket will feature a waterproof/breathable layer inside like Goretex, eVent, DryQ or other. Finally, the jacket will have an inner layer of something soft and nice-feeling like a microfleece or polyester weave. 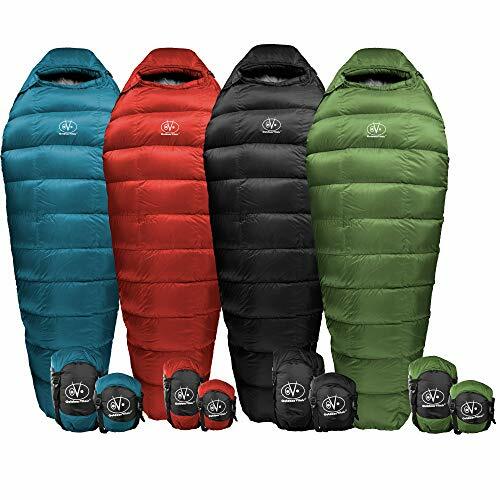 These jackets are the heaviest option in hardshells and they require understanding the jacket’s unique maintenance needs and limitations. Arguably most suited to high-output winter activities, the performance gains of these technical garments can best be seen during cold dry conditions. There was a time when Gore-Tex owned the market on WPB fabrics. Today their patents have evaporated and almost every major brand has their own in-house WPB fabric. Last I checked Gore-Tex was touting their “Active” membrane as the newest and most breathable in their lineup, but that’s bound to change. Mountain Hardwear has their Dry.Q fabric which is essentially a variant of eVent fabric. 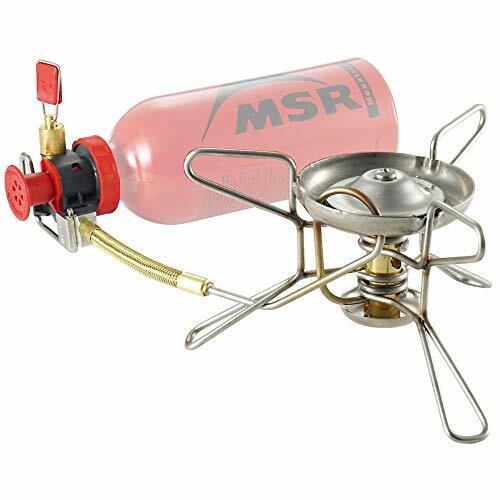 Outdoor Research uses several membranes but offers its in-house AscentShell. And, of course, there’s eVent itself which was at one point arguably the most “breathable” membrane around. Don’t worry, 6 months from now there will be more. Suffice it to say that WPB tech is and has been rapidly spreading through the industry. If you’re interested in finding the absolute best WPB membrane you’ll have to look at the research as it comes out. Tests are rarely independent or objective, however, and most of the information you’ll find is likely to be saturated with marketing jargon from the manufacturers. I can say with confidence that I am not aware of any WPB fabric that is so astoundingly outperforming its competition that it merits mention. I encourage you to do your homework but personally, I think most of the WPB membranes out there are doing a darn good job these days and one is likely quite comparable to the next. Q: Will a breathable jacket keep me dry inside? Breathability has its limits. In fact, breathable jackets are surprisingly… unbreathable. They’re limited to transferring only water vapor out of the jacket. That means liquid sweat won’t be going anywhere. 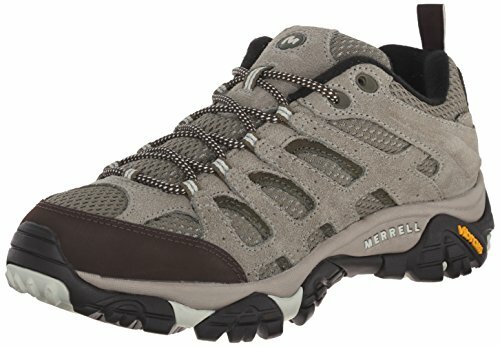 I find that breathability is quite limited and whenever I’m doing any serious activity (hiking hard, skiing hard, running, etc.) I have to unzip any jacket to dump sweat and heat! Don’t expect a breathable jacket to be climate controlled. Q: How do I get the most out of a hardshell jacket? Layering is the key to success with a hardshell. Start with a thin base layer and then use a lightweight mid-layer like a thin fleece. Put the hardshell jacket over the top of all that and you’ll be good to go for many high exertion activities in the winter. During the summer make sure to use a jacket with pit zips and wear a very thin polyester shirt under your hardshell. This will keep the jacket from feeling sticky and will help get rid of excess heat and sweat. Q: Hardshell vs Softshell Jacket: Which is better? A: To answer that, lets take a look at the advantages of each and where each excel. 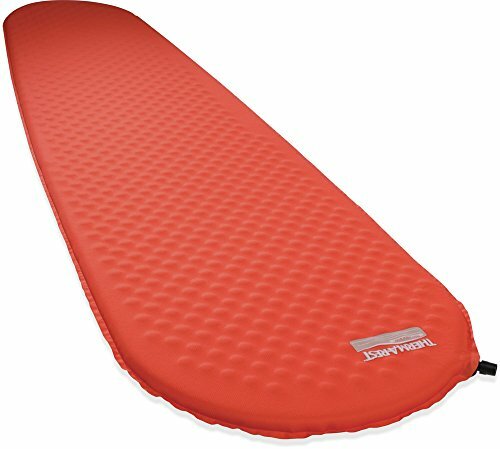 Durability – The tough outer shell resists abrasion that you encounter in outdoor activities like hiking and backpacking, skiing snowshoeing and even climbing. Weather Protection – Hardshell jackets are ideal for protection from the rain and wind as compared to a softshell jacket. Breathability – While not as breathable as their softshell cousins, hardshells with membranes like Gore-Tex will allow moisture to evaporate. Comfort – By their very nature the soft, flexible outer shell matched typically with a fleece type liner makes them not only warm but comfortable to wear. Water Resistance – While certainly not as waterproof as a hardshell they provide adequate protection from light rain. Flexibility – The more flexible fabric of a softshell lends them to be more easily folded and fit in a backpack. Q: Which is better for me a hardshell or a softshell jacket? A: Your choice is determined by what you will be doing with the jacket and of course the weather. Each have their advantages and neither is “superior” but each is better for certain activities. If you will be primarily running, hiking or cycling the extra flexibility of a softshell may be better for you. A hardshell on the other hand will most likely be better suited for more cold and windy weather activities like skiing, snowboarding and cross country skiing. Q: Will a cheap hardshell be enough for me? Inexpensive hardshells can be a great option on several levels. For backpacking and light winter use such as skiing at a resort, they’re just fine usually. However if you need a helmet compatible hood or plan to use your jacket for advanced sports like climbing or ski touring, you’ll need to cough up cash. Stretchy, helmet compatible jackets that will play nice with your harness and ice climbing tools are expensive. There’s just not too many ways around it. When it’s time to go shopping for a hardshell jacket it’s important to keep in mind why you are getting one. Each individual hardshell is going to be better for different things and you’ll be disappointed unless you pick out the right one for you. It’s not necessary to get the most expensive hardshell to be happy with your purchase. In fact, many users won’t notice the difference between a $500 jacket and a $150 jacket and the extra money in your pocket is always nice! Of course, in our reviews I’ve tried to make sure there are a range of jackets that can help you get started quickly. Whether you need a full featured jacket or if you just want a lightweight simple hardshell, there’s something here for you! I hope this guide was helpful in picking the best hardshell jacket to fit your needs. If you want to comment or recommend a jacket I didn’t include, please use my contact form to get in touch. The Outdoor Research Foray is our Editor's Choice for the best hardshell jacket with its versatility, warmth and water-resistance.